This e-mail was sent to me by Fr. Chazal. I have tried to get rid of some of the blank lines, etc. and the only thing I changed was typos. Changing the "grammar" is more problematic; that could change the sense of the content. So I left it as-is. The boy who visited was obviously not a native English speaker, and that comes through in his writing. 1. they keep on saying that they need a bishop and God will send them one, that's the major of the reasonning. 3. then they leave out the conclusion, but it is inescapable. them saying "we are not using Moran" sounds hollow, just like bishop Fellay saying "i am not using the April 15th declaration"
I was able to meet few of the faithful of the kentucky rite. They truly believe that Fr. 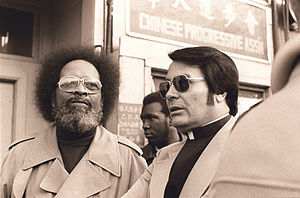 Pfeiffer and Fr. Hewko are the only true priests in the line of Abp. Lefevbre. Bp. Williamson is bad and etc. They are not a true resistance. Pablo the Mexican is a good administrator and a hard working secretary, etc. Fr. Pfeiffer continues to brag that he has 150 Mass centers all over the world. His seminarians are like zombies. They do what pablo wants them to do. They just submit to Pablo. They look okay but they are sick. Fr. pfeiffer moved a whole family of Filipinos from New Jersey to Kentucky. He is bringing more people to his camp and live happily ever after. Where they will enthrone pablo as king. I thought i can stay for 2 weeks. But no. They are becoming a cult. seminarians, and plenty more down the line. Only 6 and he keeps on telling that MORE ARE COMING. supersized egoes, to put it in a nutshell. I went to Kentucky on Thursday. I was welcomed by Fr. Joe Pfeiffer. attend the Mass of Fr. Tim. Fr. Joe is proud and full of pride. The only seminary that has a structure is Kentucky, said Fr. Joe. totally mad. He is moving more families to his seminary campus. word. I felt I was in jail. Seminarians are like slaves there. That is the reason Fr. Tim is not joining the resistance. Moran is gone. Communicatio in Sacris is not a mortal sin, said Fr. Joe. "Patriarch" Pablo from his place. What is Fr. Hewko's role in the compound? Is he controlled by Fr. Pfeiffer and/or Pablo? Is he brainwashed or willfully complicit? Just weird to me that he ended up there of all places. The whole situation sounds scary. Give consideration to the fact that the "anonymous" author is apparently an anti-Pfeiffer partisan, and it is clear that he casts the worst possible on what he either knows or has heard. Just more gossip and opinions, a waste of time. Send a partisan to Broadstairs, France, or Asia to give you the "scoop" and you will have something similar happen. Thank you for pointing this out... Fr Abraham comes into mind. It was fanned into a major fire by a few rag-tag laymen... discretion prohibits me from saying more. The posters are not anonymous, Matthew knows who they are, and Fr Chazal is mentioned. These reports back up the other large number of reports that have been made about this sect and there are even more that have not been made public. They are just the tip of the iceberg. The only thing that unites that sect or cult (check out the definition of a cult and you will see that they fulfil most of the requirements) is not a love of the Truth but a hatred of Bishop Williamson, not lurve, lurve, lurve but hate, hate, hate and we know what that is a sign of. But with a self proclaimed lay exorcist who dabbled with the demonic, is it any surprise? Why doesn't he get lost back to Mexico if he is such a great Mexican. He threatened to leave, but he may lose his hold over Fr Pfeiffer if he does that. If you ever speak to a cult member they cannot help themselves but to criticise and defame His Excellency. Perhaps they are getting worse and want people to relocate to the compound because they are collapsing elsewhere. Their UK website is not updated to show any Masses for the last three weeks and prior to that they seemed to have Mass only about once every six weeks. They are deluded about their numbers. To claim 150 Mass centres is pure baloney. It seems as if one of their two priests stopped somewhere once and said a Hail Mary that becomes a Mass centre of theirs. One of their US websites shows them as having five 'seminarians'. May God have mercy on them all and help them to overcome their huge pride to come back to the Church. P.S. Perhaps Incred. summed it up better than me!!! Sure does. What a mess. I think about 20 years from now, or 40, or 80 years from now and wonder how many more splits and who is going to know which group(s) keeps the faith of the Apostles? Seems parents of today, who will be grandparents tomorrow had best teach religion to their children and grandchildren well so they'll know which groups must be avoided - and same goes for their children and grand children. God is really letting the flock cull themselves. you have something new to share. How come Fr. Chazal is soliciting gossip and information about the goings-on in Boston, KY? That doesn't strike me as good, honorable priestly behavior. Doesn't he have enough to do in running his own little apostolate of the Resistance? Bull...a pedo priest living in Broadstairs giving public Masses (against his SSPX censure) directly concerns the people who attend the Resistance Mass there. An opportunity to gossip about Fr. Pfeiffer is never wasted on the board. I see post on social media calling the Resistance crazy and a cult and when I search deeper as to why they say such things the names of Frs. Phieffer and Hewko always surface. A lot of people think that they are part of the Resistance when in fact they are not. This sort of thread helps to explain just how "Out There" they are. Every opportunity to make it clear that OLMC has nothing to do with the Resistance should be taken. People are Resistance shy because of their bad and nutty reputation. The Mexican is solely a part of that outfit and is welcomed no where else. They need many prayers. 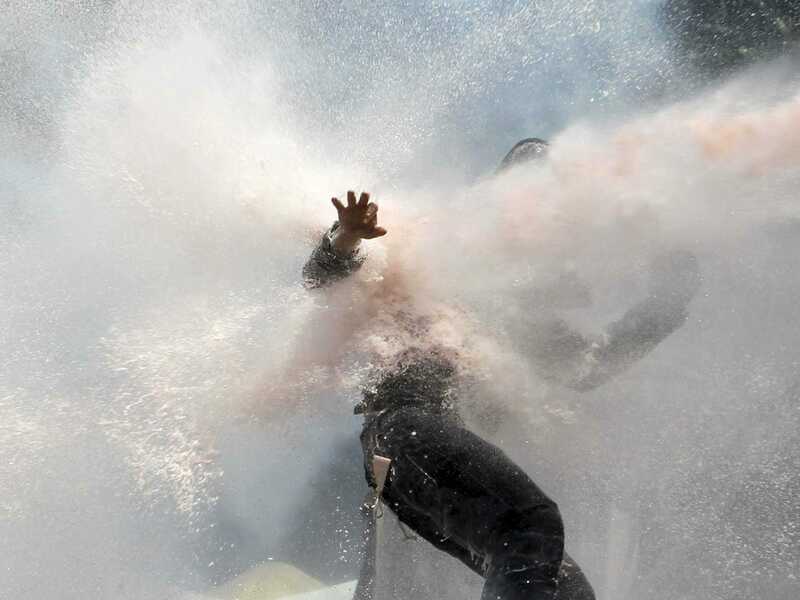 What concerns me is the people who attend the Resistance Mass there have succumbed to mob rule and there's only one way to reason with mob rule... water cannon! Only if that water cannon is being used to blast Fr. Abraham back into hermitic seclusion. Emotional and subjective? Certainly not, and more of an objective observer than most, due to the fact that I am no longer committed to any of the sects, and while I am respectful of the office and valid faculties of the neo-Traditional clerics, most have their shortcomings in that same package, from Fellay to Pfeiffer, to Chazal to +Wiliamson and his new hierarchy. I would suggest that your response is both emotional and subjective as well as an extension of your own sectarian view of things. Not all critiques of Fr. Pfeiffer are wrong or invalid, and not all of his objections to Bishop Williamson have been wrong or invalid either. If you want to look upon thing with an objective eye, then do so.